Earlier this year I attended Dying with Dignity seminar. 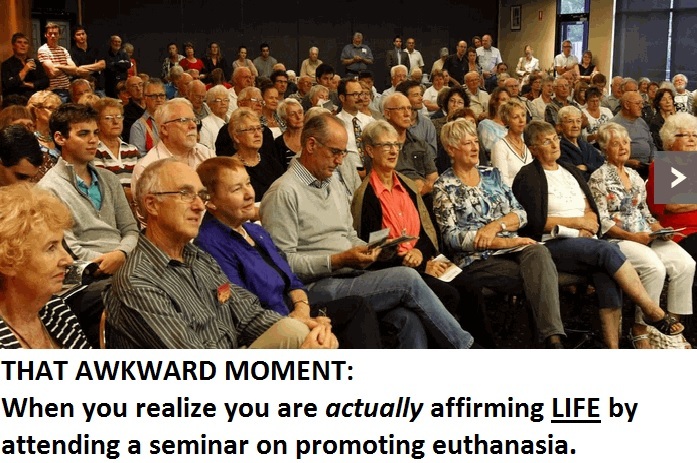 After the day-long seminar on how to be a “choice in dying” apologist, I had some conversations with the elderly folks in attendence. The elderly are not a burden and the following clip demonstrates the urgent need for us all to help create a culture of life.